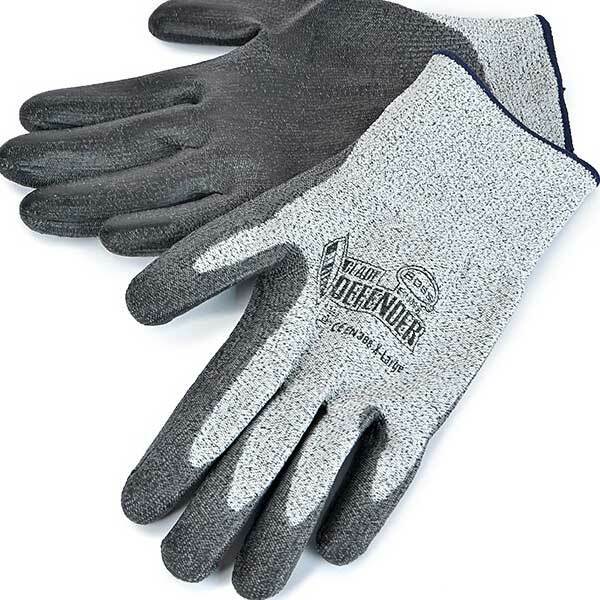 Boss Blade Defender Kevlar Cut-Resistant Gloves have an EN 388 cut rating of 3 out of 5, giving great all-around protection for most hobby projects. HPPE (Olefin)/Nylon/Spandex shell provides maximum strength, but is also breathable and comfortable. Universal fit.